The Lancet chapter of the Paolo Macchiarini saga appears to finally be over. In an editorial titled “The final verdict on Paolo Macchiarini: guilty of misconduct,” the editors of the journal announce that they are retracting two papers by the now-disgraced surgeon and colleagues “after receiving requests to do so from the new President of the Karolinska Institute (KI), Ole Petter Ottersen.” Late last month, Ottersen declared Macchiarini and six other researchers — including one of the whistleblowers in the case — guilty of misconduct. 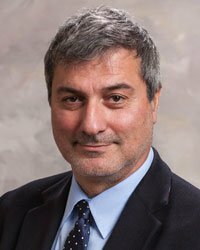 Last week, allegations of research misconduct against Paolo Macchiarini, a professor at the Karolinska Institute in Stockholm, Sweden, were finally dismissed. Dragging the professional reputation of a scientist through the gutter of bad publicity before a final outcome of any investigation had been reached was indefensible. that the most recent investigation into Macchiarini’s work, conducted by the Karolinska, found that he was not guilty of scientific misconduct. We take all allegations of scientific misconduct extremely seriously. The Lancet’s view has been, and remains, that the normal standards of justice should apply to Paolo Macchiarini. Being innocent until proven guilty is a difficult principle to hold on to when calls for action now to assuage the crisis are so vociferous. In March 2016, Macchiarini was fired from the KI, and in April of that year, The Lancet issued an expression of concern about the 2011 paper. This week’s issue of the Lancet contains what would seem to be the conclusion of this part of the story. Following our Expression of Concern we have now received further information about the conduct of the study by Philipp Jungebluth and colleagues. In letters to The Lancet, the President of the Karolinska Institute has sent the results and conclusions of the final investigation that has identified serious flaws in the conduct and reporting of this study. The report concludes there was scientific and ethical misconduct and requests retraction of the paper. The Lancet is therefore retracting this research article from the scientific record. The paper has been cited 274 times, according to Clarivate Analytics’ Web of Science, earning it a “highly cited paper” designation. Sixty six of those citations came after the paper was subjected to an expression of concern. In letters to The Lancet, the President of the Karolinska Institute has sent the results and conclusions of the final investigation that has identified serious flaws in the conduct and reporting of the study by [first author] Philipp Jungebluth and colleagues. The report concludes that part of the series paper by Stephen Badylak and colleagues referring to the Jungebluth and colleagues’ research article is therefore misleading. In accordance with a request from the Karolinska Institute, The Lancet is retracting the series paper from the scientific record. The three co-authors of the Review paper were found not blameworthy and not guilty of misconduct. We welcome this thoughtful and clear conclusion of an extraordinary case. The review came about, Caplan tells Retraction Watch, after he was asked by two of Macchiarini’s co-authors to contribute recommendations about how the field should move forward. At the time, given the state of research, Macchiarini’s results with artificial tracheas made sense to Caplan. I can’t say I was shocked to hear that he was having success populating his scaffolds. This is one of the key ethics problems around fraud and retractions. To me, I take findings at face value. I’m not going to challenge his clinical reports, if they get through peer review, that’s a gold standard for me. The problem is that if you’re a fraud, if you’re overly positive, or just lie about it, unless it’s picked up by peer review, we’re going to be invaded by crap data. Macchiarini “parlayed his interest in regenerative medicine, and the belief that it was imminent, into an occasion to use his super fraud and shyster skills,” Caplan says. The whole story, Caplan says, reminds him of the Theranos scandal. He used a similar environment, if you will, and he parlayed that into appointments at the Karolinska. He had both the prestige and zeitgeist in his favor. So would he do things differently next time? I might try to check partners more carefully, see who exactly I’m asked to collaborate with. But I’m sad to say I probably would not have picked up anything about Macchiarini, even if I had asked. It is possible to be duped. All of his stuff should go. Not only is he a fraud here, but in terms of his whole life. There’s nothing he’s done that’s trustworthy. There’s a monumental pathology in terms of trying to promote himself. You’d think our system would pick up on that sort of thing. My take home from this is, I’m not sure. This makes me worried that the checks and balances we have, it gets to be very hard to weed out somebody who’s totally committed to fraud. A thoughtful and clear conclusion — in The Lancet’s words — this may be, but institutions and journals still have a lot to answer for, particularly to the patients who were under the care of Macchiarini and his colleagues. As we and others have written, the case shows how universities have severe conflicts of interest when it comes to investigating their own. And journals can be far too passive in the face of mounting evidence of misconduct. It is true, and I will speak out on this subject as loudly as I can, that there needs to be far greater clarity and a set of internationally agreed–upon guidelines on how cases of scientific misconduct are dealt with, and there also needs to be a way to make retractions and cases of misconduct easily identifiable. But as this chapter ends, it seems worth noting just how long questions have been swirling around Macchiarini and his work. Macchiarini first came to our attention in 2012 when he had a paper retracted for plagiarism. At the time, he had been placed under house arrest following charges involving some of his patients. The most serious charges were dropped, but he continued to face others. Horton and others say that due process for allegations of scientific misconduct is critical. But it sure takes a while. Previous Previous post: An author says his work should be “widely heralded and promoted.” So he published it 3 times.